Dana began teaching Ethno Ballet in 2012. As a form of movement it consists of a mix of ballet, dance therapy, improvisation and composition. But beyond this, more than just a dance, she considers it as "a gestural philosophy, a way to exist on stage and in life through seven powerful feminine archetypes." Dancer Dana Mussa has always been interested in the history of nomadic tribes and their ritual dances. And after years of research, she decided to go beyond classical ballet, progress further and deeper into her artistic development, and finally combined her two passions. And this led her to the creation of a new dance concept based on seven feminine archetypes taken from tribal history: the Ethno Ballet. She explains: "I created a new style of dance called Ethno Ballet, based on the 7 feminine archetypes and focusing on the empowerment of women, through dance. My concept is inspired by sacred dances of ancient tribes, keeping ballet in the mix in order to sculpt the body." The seven feminine archetypes take their origins in the Seven Sisters of the Pleiades - the brightest cluster of stars in the sky. Maia (the Midwife), Alcyone (the Queen), Electra (the Awakener), Celaeno (the Lover), Taygeta (the Storyteller), Asterope (the Visionnary), and Merope (the Priestess) hold the keys to 7 archetypes for women’s leadership. They are also linked to the seven chakras, existing in every culture around the world (Egyptian, Greek, Aboriginal Australian, Hopi, Mayan, Native American, Japanese, Maori), since the first ages of human history. • The Hunter: Woman-animal. Courageous, passionate, enduring. Dancing against inner fears and focusing on personal needs. The movements are dynamic, quick, expressive and virtuosic. • The Rider: Woman-wind, Woman-traveller. Space is her companion, the “horse” is her friend. She represents the ideas of totemism and animism. Working on coordination and spatial orientation. • The Amazon: Woman-warrior. Strong, fast and solid. She attacks and protects. Working on personal power, body strength, speed, rhythm and synchronicity. Her arms are like knives, her legs are like swords! 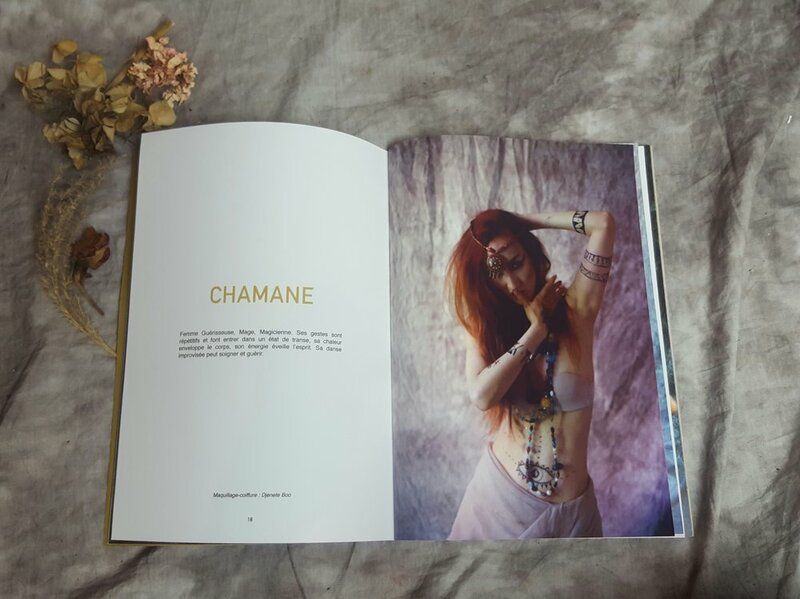 • The Shaman: Woman-healer, Woman-magician. She can heal herself and others through her improvised gestures and movements. She goes deep inside herself as if she were calling to the spirits. She can also enter in connection with others and heal all around her with her positive energy. • The Priestess: Woman-mystery. Her dance is her prayer, her movements are the sacred messages that she delivers in silence. She is very feminine and sensitive. • Queen Tomiris: Woman-power. She can control her body, her spirit and her environment. She has a great sense of self-respect, she is confident. Her movements are big and precise. She inspires and influences others with her actions and her dance! • The Goddess: Woman-angel. She is everywhere and nowhere. She has no weight, no colour, no odour. She shares, gives and forgives. Her movements are light, fluid and aerial. Working with balance, breath and flexibility. The Ethno Ballet represents Woman in her spiritual evolution and invites her to express herself fully through different body gestures. The Ethno Ballet book is available online. Dancer, choreographer, coach, dance film director, member of the UNESCO International Dance Council. Originally from Kazakhstan, Dana decided to move to Paris in 2010 in order to fulfil her dream of becoming an international dancer and choreographer. She studied classical ballet at Paris Opera dancer Yves Casati's private school. She also trained under Andrei Klemm (Paris Opera), Atilio Labis (Paris Opera) and Frederic Lazarelli (Mexican National Ballet) and at the National Dance Centre (CND) and at Micadanses studio. In 2013, she founded her Ethno Ballet dance studio in Paris. Since then, she has developed a variety of offerings centred around the Ethno Ballet concept: live performances, video and photo shoots and classes and workshops in which she brings together girls and women from all dance styles and skill levels. In parallel, Dana works with different types of artists and events as a dancer and choreographer.